I love Winter for being able to wear cosy sweaters and the run up to Christmas. I came across this fair isle jumper at Fat Face - they have gorgeous jumpers just now along with lots of winter accessories and they currently have a sale on. 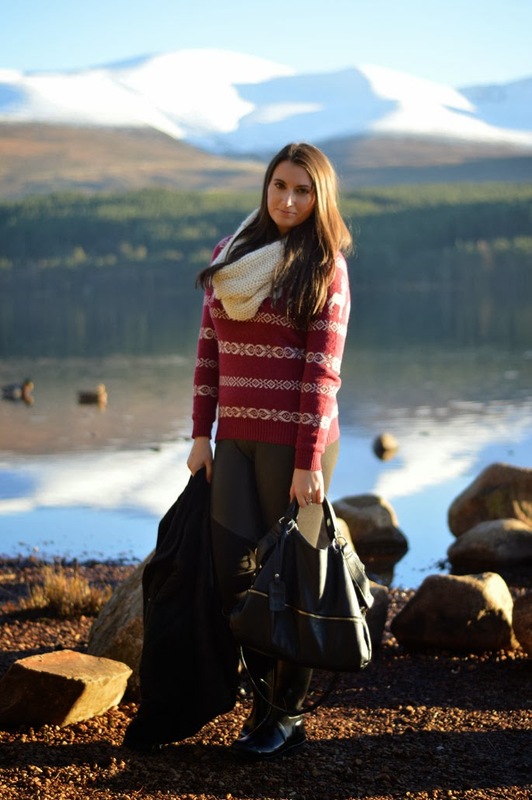 The jumper is perfect for cosy nights and it was definitely needed as the frost set in on Sunday morning. 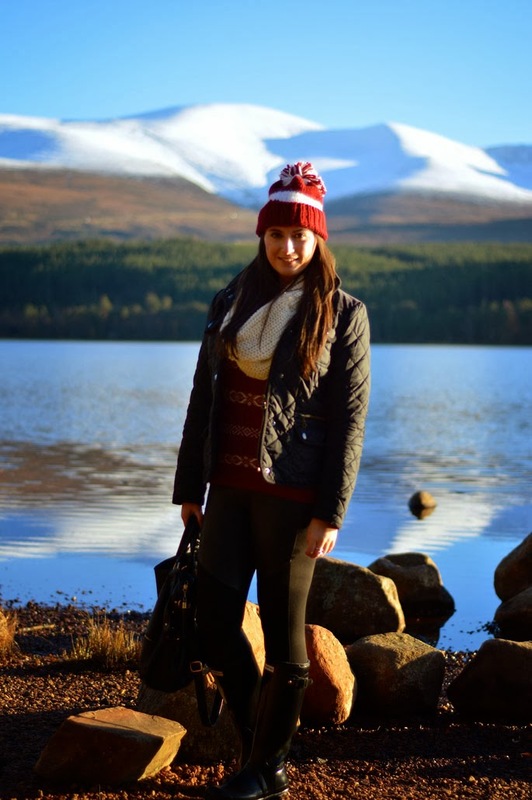 Fortunately, it was a dry day for my trip to Aviemore and the winter sun was out, as you can see in the photographs! The snow capped mountains were gorgeous as the first weekend of the ski season kicked off. Are you getting snow where you are? It doesn't feel like Winter to me without some snow or frost!! Thanks for following my blog! I reall appreciate it! Lovely photos - I love the Fat Face jumper, really pretty! This is such an adorable outfit! I love the sweater and leggings! Gorgeous pictures Laura! I visited the Fat Face in Glasgow sometime ago and loved their Christmas jumpers (but unfortunately couldn't afford buying one). Perfect look, love that you paired it with leggings and wellies. it's so hard for me to find good quality sweaters that are thick and stylish and not tacky - you seem to have it figured out perfectly! These pics could be ads for a travel agency! Gorgeous - you and the scenery! Beautiful outfit and amazing location! Nice blog. love that outfit!! The setting is magnificent as well!! !